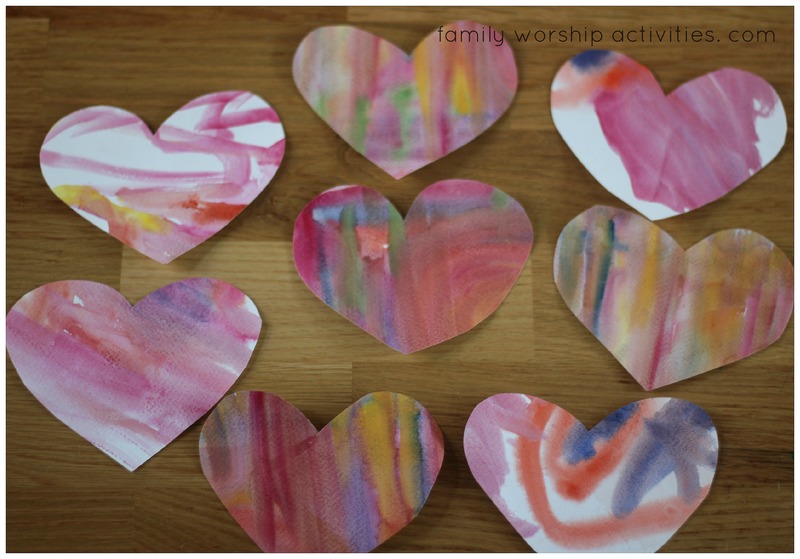 Family Worship Activities | Bible learning activities for kids! Using props and storytelling aides can really bring the Bible to life for kids and make it easier to understand events as they happened. 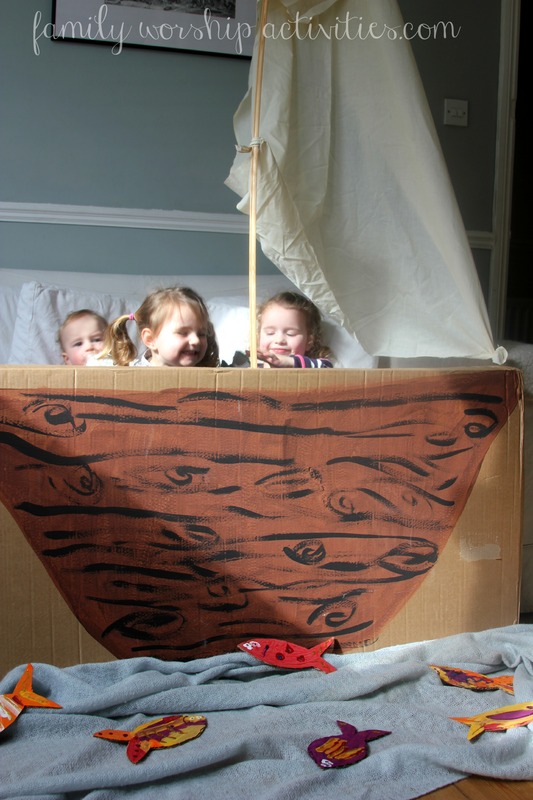 Have you used story telling props or scenes during family worship? Have you got some ideas to add? thanks! 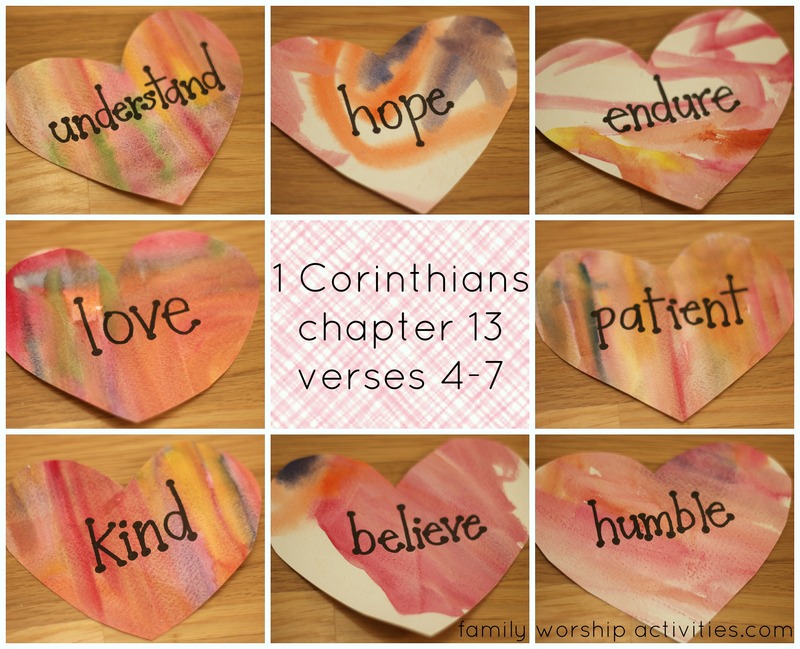 Explore the nature and characteristics of love and kindness as defined in the Bible in 1 Corinthians chapter 13, through a simple art activity, accessible to all. Afterwards it can be turned into a display for the whole family to see and read very day! Using watercolour paper and solid block watercolours, the children painted freely to cover as much of the white space as they could. We made the paper wet first using a sponge, so that the colours would be absorbed and blend together beautifully. Then I cut them into heart shapes, which older children could do independently. I wrote one of each of the 8 key definitions of love onto each heart shape. Then we talked about what those words meant and gave examples of them in everyday life, which for very young children meant talking a lot about showing kindness, patience and tolerance towards siblings during play! Depending on the ages and stages of kids, they could give their own examples of ways to demonstrate each quality of love, and reflect on how it makes them feel when the opposite is shown towards them. We then stuck these onto the wall in the kitchen where we see them everyday and can talk about them. Our children are too young to be able to read, but we are working on teaching them the key words in this passage by memory. And the reminders on the wall are extremely important for the both of us as adults too, of course! 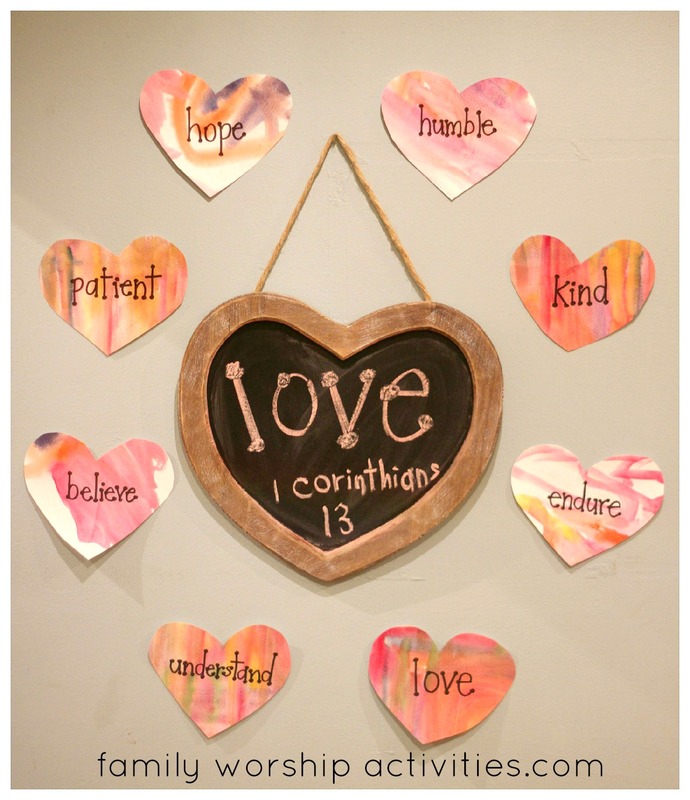 Do you display Bible texts on key principles in your home? Please share your ideas! 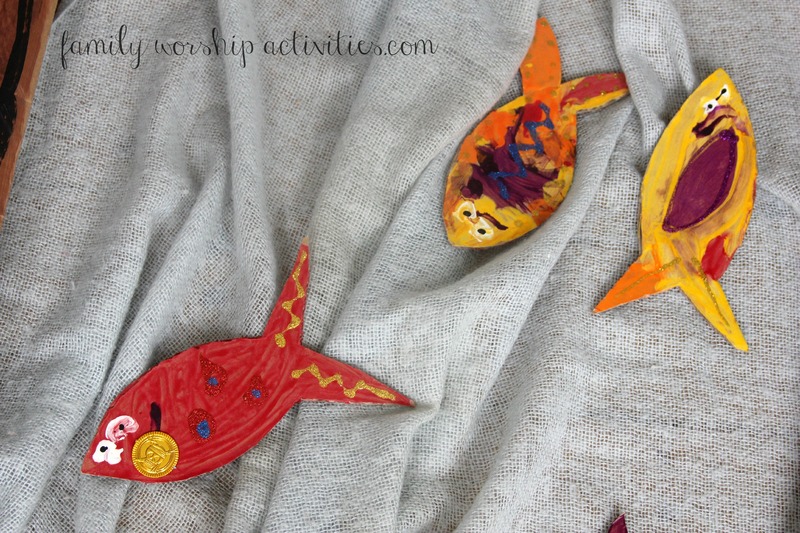 Make a beautiful garden scene to represent the Resurrection and to help teach children about the powerful and incredible events in the Easter story. 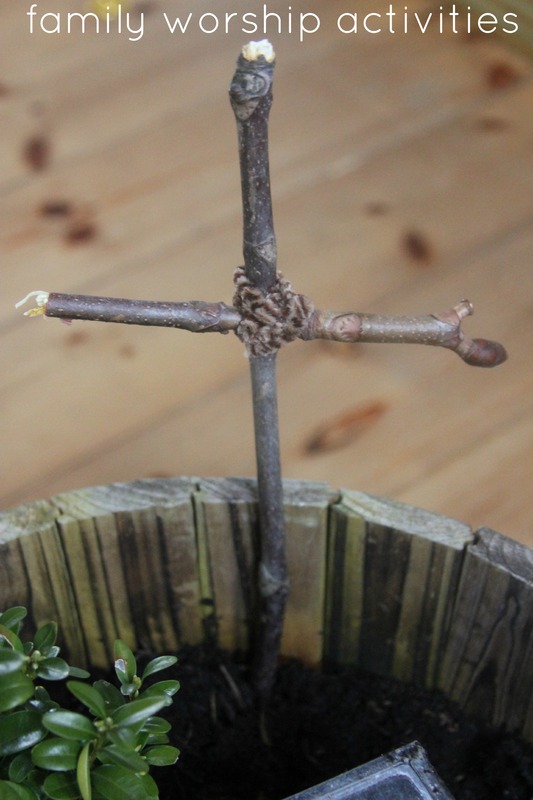 First of all we bound the two twigs together using a brown pipe cleaner, to form a cross. We used this as a simple story telling prompt when retelling the story of the crucifixion. This is suitable on any day of the year of course, but particularly as a family worship idea for Good Friday. 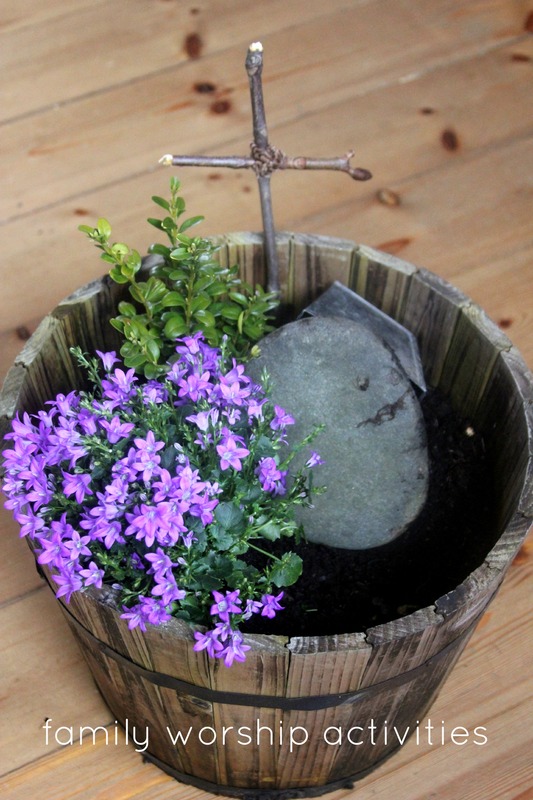 Then we constructed a simple garden scene by planting the shrubs and flowers into a barrel and inserted the cross into the background. We used an empty tin garden planter to represent the tomb. We placed a little plain wood peg doll inside to represent Christ being buried and rolled the large stone in front of the tomb. 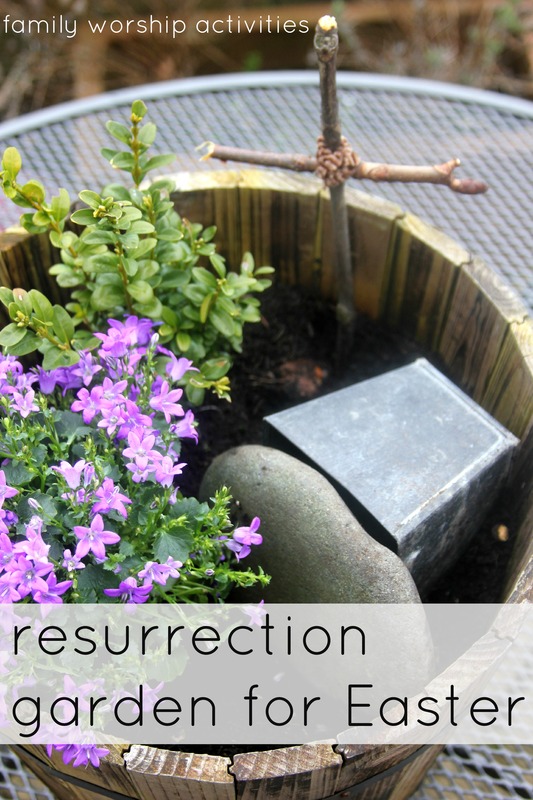 On Easter morning the children can come down to see the garden and find that the stone has been rolled away from the tomb and is completely empty inside. Read the passage from the Bible and celebrate together with songs and prayers!